”The full house chuckles and a woman seated behind us notes sagely: “He’s changed.”Indeed the tall, grey-haired 55-year-old stood before us tonight is perhaps not the same intense noise monger who once strode the stage bashing pieces of metal in the German avant-garde group Einsturzende Neubaten, nor even the shadowy guitarist of old from Nick Cave and the Bad Seeds.At the start of the show he even shook the hand of a member of the audience who could recall exactly where he played at in Leeds in 1983 – the long-defunct Warehouse – adding wryly: “I remember opposite was a building site where we stole a really good piece of equipment, a piece of metal that we used for years.”Bargeld’s collaboration with Italian electronic composer Teho Teardo and cellist Martina Bertoni is rich, ruminative and strange but not po-faced. There is a song about the axolotl, the Mexican salamander “that never grows up”, and another about cable thieves. The Victoria string quartet broaden the melody of the gorgeous Caetono Veloso song The Empty Boat while Bargeld intones “From the east to the west the steam is long/Yes, the dream is long”, and the Tiger Lillies’ Brechtian cabaret number Alone With The Moon. A Quiet Life, the first song that Bargeld and Teardo wrote together for a film of the same name about “a Mafia killer who tries to get out of his old life by opening a pizzeria in Germany” is reminiscent of the chamber rock of John Cale.Most extraordinary are the encores – an Italian rendition of Tommy James and the Shondells’ 1969 hit Crimson and Clover that veers between slapstick and fiery intensity and Defenstrazoni in which Bargeld spits out lines such as “We will eat clouds for breakfast” while twisting his fingers in spidery motions. 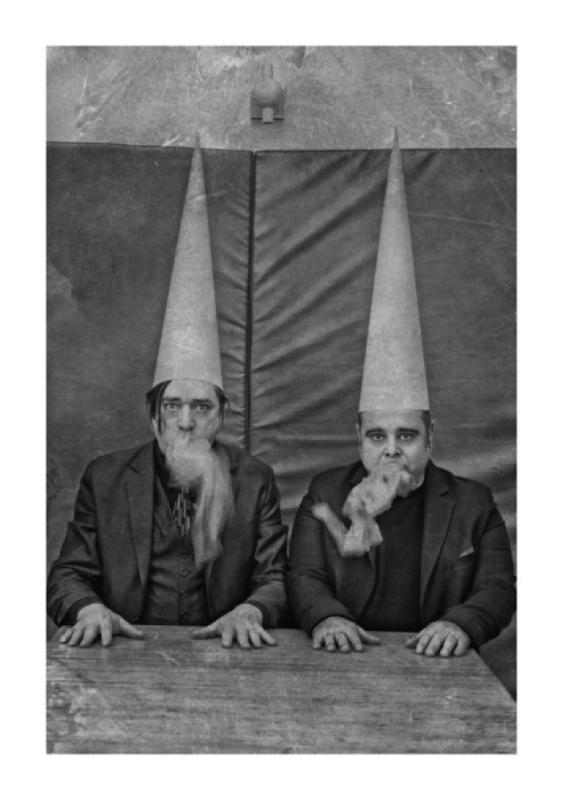 via Gig review: Teho Teardo and Blixa Bargeld at Howard Assembly Room, Leeds – Yorkshire Evening Post.